A huge thank you to you all who joined us last Sunday July 22, 2018, 24th Board Installation. In no particular order, thanks to Vancouver Arbutus Lions Club, Vancouver Broadway Lions Club, Burnaby Lougheed Lions Club, Vancouver Cathay Lions Club, Vancouver Chinatown Lions Club, Vancouver Chinatown Lioness Club, Vancouver Diamond Lions Club, Vancouver Galaxy Lions Club, Vancouver Mt. 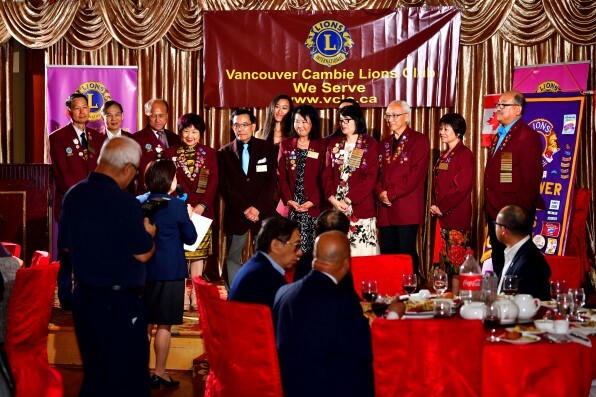 Pleasant Lions Club, Vancouver Metropolitan Lions Club, North Vancouver Host Lions Club, Vancouver Pacific Lions Club, Vancouver Shaughnessy Lions Club and Vancouver Sunshine Lions Club. 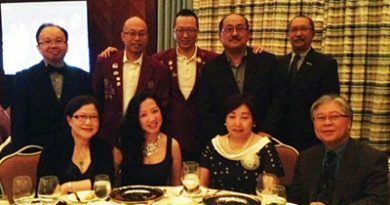 Our special thanks to our special friends from Saint Paul Foundation, Villa Cathay Care Home and Vancouver Sowers Society of Education. We tried not to miss anyone but if it happens, our apology. Just you know we made two new club records for this party. Most tables and most funds raised. Feeling proud we were able to donate $7,500 to Mount Saint Joseph Hospital – St. Paul’s Foundation.